Our director of healthcare interiors, Jocelyn Stroupe, contributes to a new Interiors Special feature from Health Facilities Management titled “Designs to elevate health care’s retail and dining spaces.” The two-part series focuses on retail and dining areas within healthcare environments, and how these spaces are catering to an increasingly consumerist patient population while providing a community connection. In addition to Jocelyn’s insights, several CannonDesign projects were also featured in the series, including Kettering Medical Center’s New Cancer Center, Bay Area Medical Center, and Nantucket Cottage Hospital. 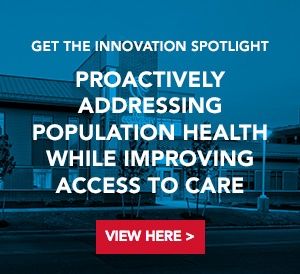 By building a one-stop shop for health care and related merchandise, hospitals and health systems can provide an added benefit to their community. “Most of us, as consumers, want things to be easy to find and convenient,” says Stroupe. “Whenever you’re dealing with a health care situation, whether you’re a patient or a visitor, it’s an intrusion on your daily life.” Providing needed items for sale at a health facility draws people in and helps to create a positive experience. Hospital dining areas can function as community gathering spaces, particularly in rural areas, says Jocelyn Stroupe, CHID, EDAC, IIDA, ASID, director of health care interiors for CannonDesign, Chicago. She notes two recent projects in small communities — Bay Area Medical Center, Marinette, Wis., and the new Nantucket (Mass.) Cottage Hospital — where “people come to the hospital just for the dining experience.” According to CannonDesign, residents of the Marinette community meet each morning for coffee in the Bay Area Medical Center dining room. In the firm’s design for the medical center’s new hospital, the dining area extends to an outdoor patio to provide a place for community socialization.